Have you already checked out my PHOTO BLOG on FindMyMusthave.nl full of Pari's pictures, outfits and hotspots! Go to the website to check out more pictures. OMG OMG OMG! 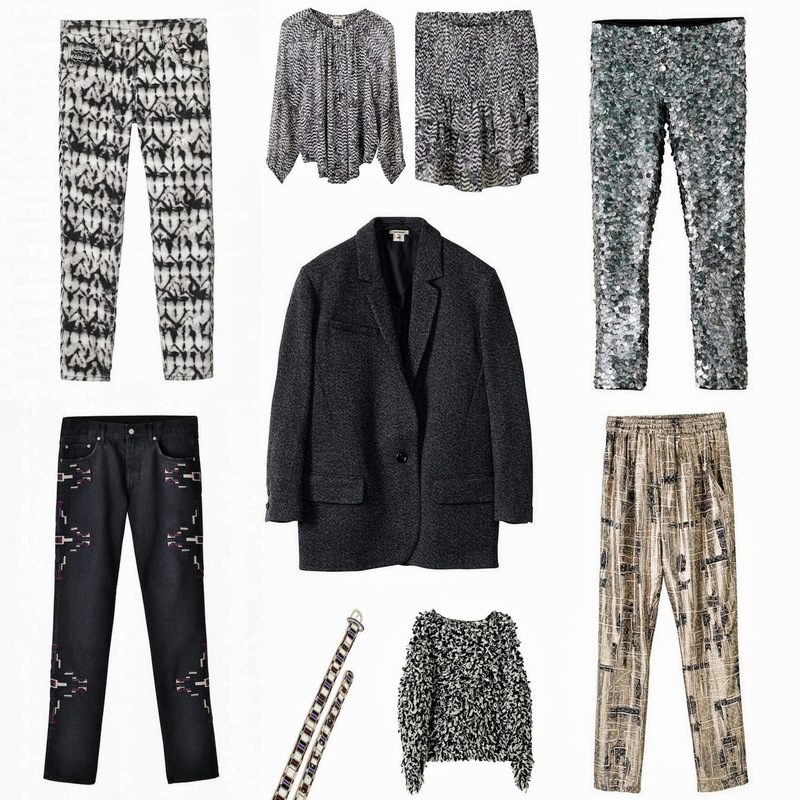 Yesterday I already gave yesterday a preview of some outfits from Isabel Marant x H&M on my Facebook page. However, today I Love Fashion News.com revealed the whole collection including all the prices! Yes! So we know what to save up for November 14th. This is my selection of my favorite pieces (and no, this is not the whole collection ;-)). What are your favorite pieces? Hi guys, Here is already my last outfit of the Blogger Battle at Follow Fashion. This week's theme is 'Number Tee'. We got a Number Tee from the brand LA Sisters and had to create a look. It is really fun to see how everyone its interpretation is on this tee. Click here to vote for me! That would be awesome guys! Great thanks in advance! OUTFIT | Au Revoir Mon Amour! Bonjour my sweet readers, I have to disappoint you.. This is gonna be my last Parisian outfit. Although I am already back since Sunday, I saved some outfit posts for you (and a bit for me as a memory ;-)). This day I went to the Jewish neighborhood 'Le Marais', which is my favorite. Why? You have amazing shops here, the people are really friendly. You can find any kind of person, from gay to jewish, from student to grandma's. And one of the best things.. (almost) everything is open on Sunday. I hate quite Sundays when there is nothing to do in a city/village. So this the perfect getaway! After a morning and noon walking down this beautiful neighborhood with my mom we ended up at Pont des Arts to close of our amazing weekend with a lock. After we spoke out our wishes for the coming weeks, months and years, we ran back to Gare du Nord where we got in the train and had to say goodbye to this memorable city. Au revoir mon amour, I will be back soon! Bonjouuuuur mes chèries fashionista's, Here is my second outfit from Paris. Unfortunately I am already back and writing this piece on my uni. I had an amazing week which was already over too soon. This Saturday I went to visit Palais Royal and bought my new Jérôme Dreyfuss leopard bag (you might have seen this already on my Facebook page here). I also got afterwards a fab Kenzo sweatshirt with the famous eye. Also I added a fabulous Denim & Supply sweatshirt to my collection. Next Friday there will be all the hotspots and new items on my FindMyMusthave.nl blog (you can find the previous one here) Now I am gonna get a lunch and continue my long day at the uni. Stay tuned for tomorrow's from Paris. Bonjour mes cheries! Finally I am back in Paris again! My old hometown looks as fabulous as always. I arrived yesterday late in the afternoon, enjoying the beautiful sunlight in this fabulous city. After we dropped our luggage, my mom and I went straight to Printemps where I ran into a fabulous leopard bag from Jerome Dreyfuss (check out my Facebook Page for the picture) where I totally fell in love with. My mom and I are both looking for a bag to buy in Paris. So I will keep you updated on my Facebook page about what bag it is going to be. And I want your opinion! Like my Facebook Page and share your opinion with me and others! Would be great :). OK, now I need to start shopping, shops open at 10 ;-). Have you already checked out my PHOTO BLOG on FindMyMusthave.nl full of fashion and must haves? Go to the website to check out more pictures. Hi guys, How have you been? You might have noticed that I am a part of the Blogger Battle at Follow Fashion. Last week I unfortunately ended up last (however you can still vote for that outfit here), so it even motivated me more to go and get the best out of this theme: 'Ready for Autumn'. Here I am wearing a Paul & Joe Sister Vest (my mom's) combined with a Uterque leather leggings, Isabel Marant Bobby Wedge Sneakers, Mulberry Bayswater bag and this fabulous snake ring which I could borrow from friend Jerry Lee. What do you guys think of this 'Ready for Autumn' look? LOVE IT, VOTE FOR IT! You can vote by pressing on this link here and scroll down to the poll and VOTE 4 MAUD :). Hi guys, Here is already my second outfit of the Blogger Battle at Follow Fashion. This week's theme is 'Ready for Autumn'. Click here to vote for me! That would be awesome guys! Great thanks in advance! 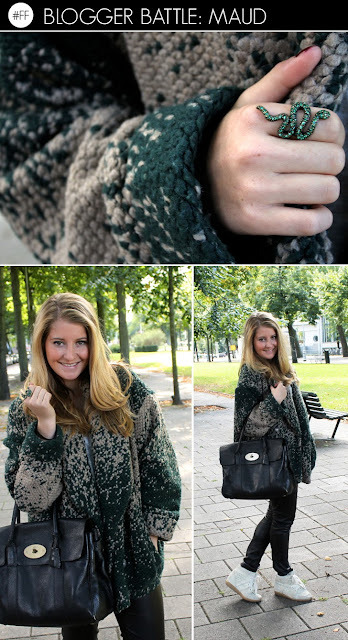 Hi guys, Here a quick outfit post from sunny, however cold, Amsterdam. How is your week going on so far? Ready for autumn? Speaking of autumn, don't forget to vote for me on Follow Fashion for the Blogger Battle. Click here to vote for me. That would be awesome! THAAANKSSS! Hi guys, I have good news! I am a part of the Follow Fashion Blogger Battle this month. This week's theme is festival outfit, and I figured out this look. I am competing against two other candidates who look awesome as well this week. However, it would be great if you would vote for me down the poll, so I will have a chance to win this week! How does it work? Well, it is very easy! Click on this link here, scroll down where you will find the poll, and VOTE FOR ME! :) That would be awesome folks!